he had a very successful racing career in Australia, before coming to New Zealand in July 2010, just after he won the Cairns Cup. 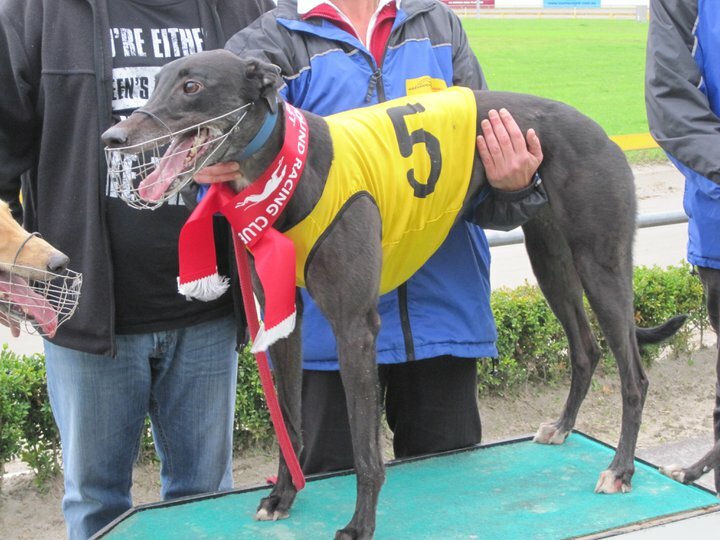 He had 78 Starts in NZ with 39 wins and 16 placings, winning a total massive $53,640 in stake money. 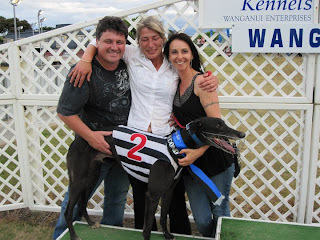 Terry won Auckland Sprinter of the Year 2009-2010, 2nd in the Group 2 race Dash for Cash in Wangunui. 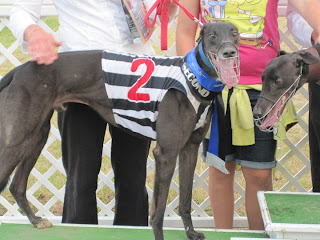 He was trained by Steve Clark and Kathy Wilson in Albany (Steve and Kathy also train famous 'Swift Fantasy' , and many of their greyhounds have retired via GAP). Mr Terry Stanley is owned by "Now Thats Value" syndicate, comprising of Blair Wederell, Craig Rendle, Tony Valentic, Brad Jackson and David Scott. 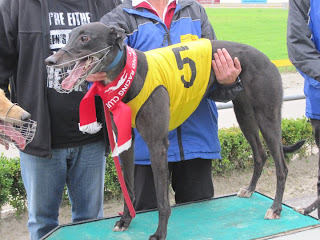 All these gentlemen are very involved in greyhound racing and between them own a number of racing greyhounds. Now that Terry is retired with a minor hock fracture (which is healing nicely) he is going to live with one of his owners (Blair). 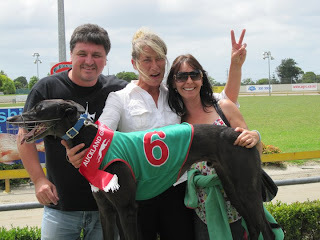 Blair works for the TAB and sets the fixed odds (not a popular job! 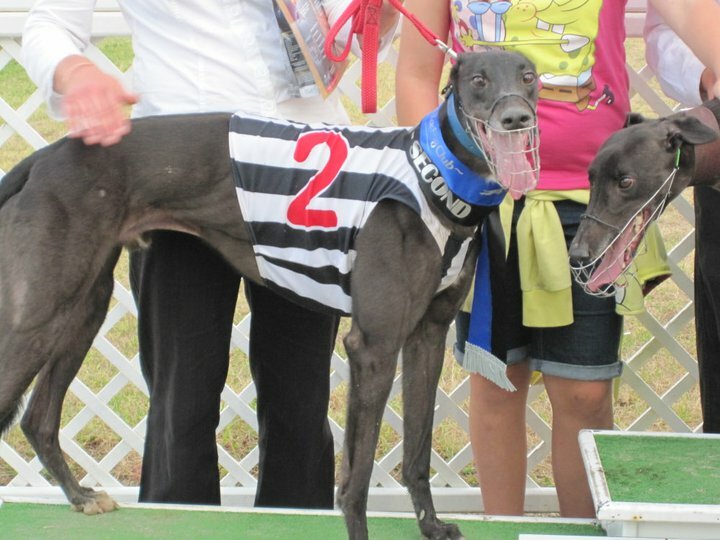 )so Terry will most properbly spend most of his retired days sleeping and watching racing replays.